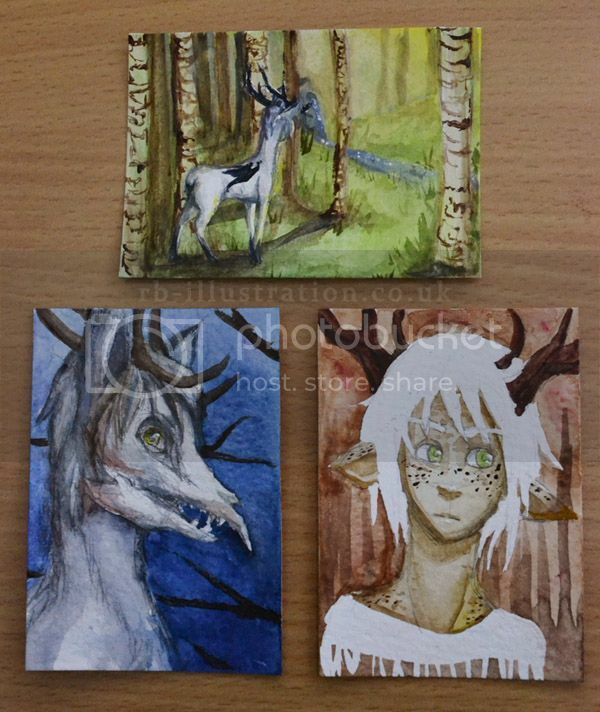 Got out my watercolours today and made a few ACEOs. They're 2.5" by 3.5". It's only my second time painting with watercolour, so they're probably not very good ;u; But they were fun to make! The top and left-hand ones are of my TEF character Fieran (who unfortunately has not been in the forest for a while because I've been busy. He's going to get fat if he doesn't get a run around soon ). Hopefully you can just about glimpse the crying idol in the top one! 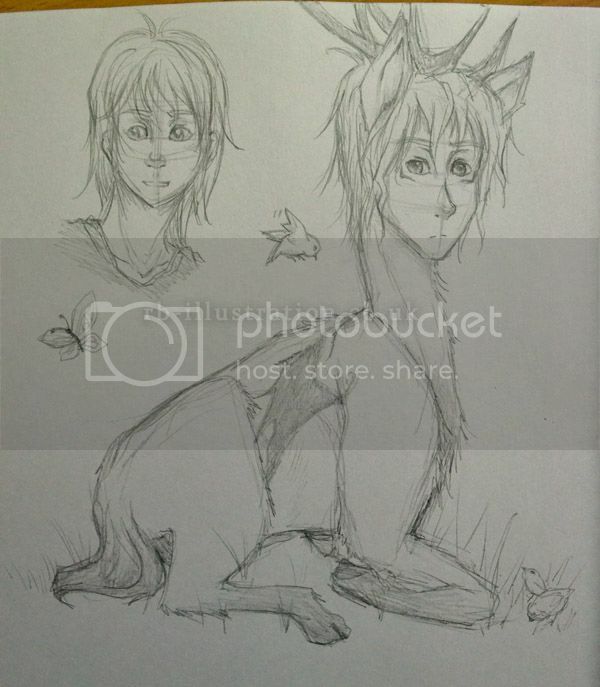 The other is a random deer guy because I was just in an antler-drawing mood. Also my first attempt with masking fluid! If the pictures aren't visible, let me know and I'll give you a direct link X'D I've had a few issues with posting pictures here where people have said they can't see them. Thank you! It's so difficult painting on such a small piece of paper, so it blobbed a bit in places X'D I'm glad you think they look OK though!